The initial brief for this project involved addressing the main issues of a lack of light, no flow within the building, creating inspiring surroundings and incorporating the School status/ identify for ownership purposes. 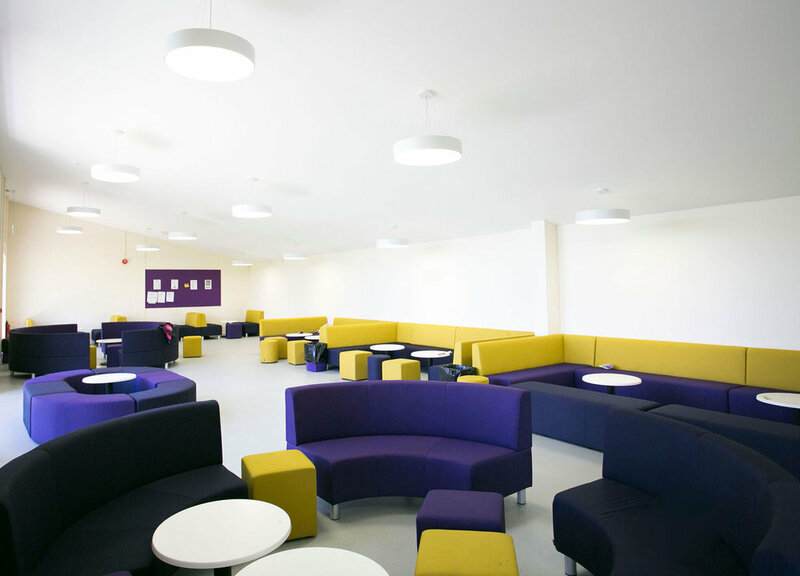 The challenge was to do this within the pre-determined budget of £915,000 and to finish before the new school year started as the School had an increased number of sixth form students starting and these students were expecting improved facilities. The construction phase of the programme was just six months. PCH Associates worked closely with the School and the Contractor to manage the project and anticipate in advance any issues that would arise because of the time constraints. Contract variations were kept to a minimum to ensure delivery on time whilst still providing the School with the facility they had envisaged.